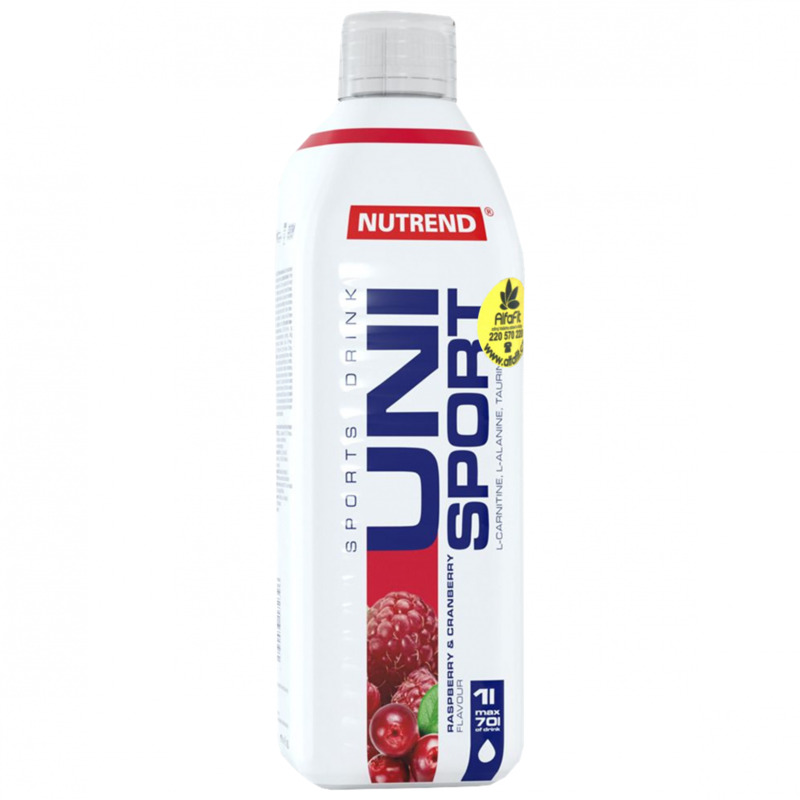 Nutrend UNISPORT is hypotonic ionic drink with minerals to effectively replenish fluids. 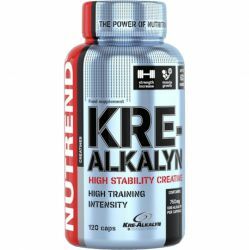 Nutrend UNISPORT in different flavors stock at the best price on AlfaFit.cz ♥. 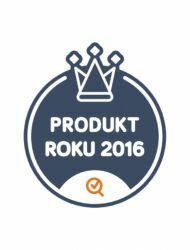 Hypotonic drink from Nutrend is a useful supplement sports nutrition. 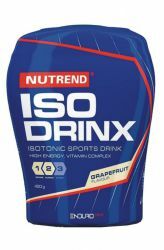 UNISPORT is the best selling sports drink. Try it too. 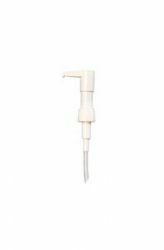 Very suitable to replace lost body fluids. 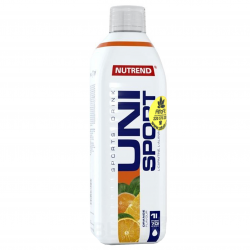 Nutrend Unisport is a mineralized sports drink enriched with functional ingredients suitable for athletes such as L-carnitine, L-alanine and taurine. 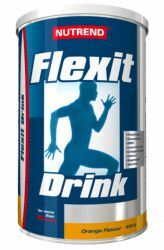 This beverage is hypotonic with a low osmolality - 185 mmol / l at a ratio of 1:50, making the consumption of this beverage practically unlimited. 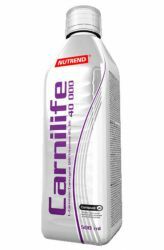 From one liter bottles of this concentrate make up to 70 liters of finished beverage. It is used before, during and after the load. 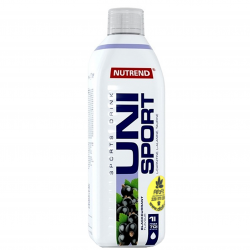 UNISPORT is especially suitable for athletes and physically burdened people, for more effective hydration and supplementation of the required minerals. If we are actively engaging in sports, our body asks for a lot more fluids due to the decrease in body hydration. 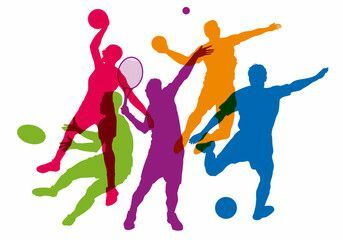 Did you know that during a sport in the heat or in the shower, you will sweat a few liters in just one hour. Remember, in addition to the lack of fluids, such as premature fatigue, body coldness, or muscle cramps, it is the most dangerous thing for an athlete to get the body to lose water before we feel thirsty. 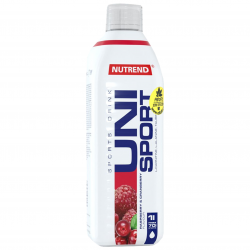 For sportspeople who need to supplement active substances in addition to fluids, Nutrend UNISPORT was created. 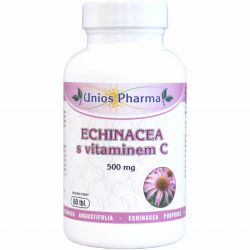 • 10 ml of concentrate in 600 to 700 ml of water. 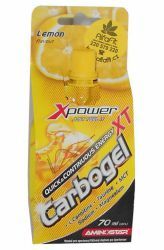 A maximum of 50 ml of concentrate per day. • prepare drinks for its use enclosed measuring cup. Never store finished drink longer than 24 hours. 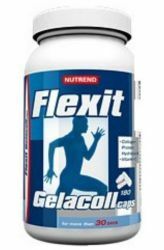 Concentrate for the preparation of flavored soft drinks enriched with sugar and sweeteners. 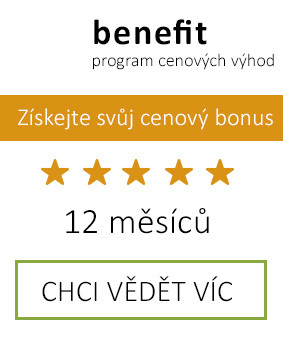 Not intended for children, pregnant or breastfeeding women. Keep out of reach of children! Producer is not liable for any damages caused by improper use or storage. Store in a dry place below 25 °C out of direct sunlight, protect from frost. Flavour wild strawberry: sugar, acidity regulator citric acid, water, flavor, sodium chloride, magnesium gluconate, taurine, L-carnitine, L-alanine, sweetener acesulfame K, monopotassium phosphate, sweetener sucralose, color E-122 - may adversely affect the activity and the children's attention, preservatives potassium sorbate and sodium benzoate. Flavour pomegranate: sugar, acidity regulator citric acid, flavor, water, sodium chloride, magnesium gluconate, taurine, L-carnitine, L-alanine, sweetener acesulfame K, monopotassium phosphate, sucralose sweetener, preservatives potassium sorbate and sodium benzoate, color E -122 - can adversely affect the activity and attention of children and beta carotene. Pineapple flavor: sugar, emulsion pineapple (flavor, color E-102 and E-110 - can adversely affect the activity and attention in children), acidity regulator citric acid, water, sodium chloride, magnesium gluconate, taurine, L-carnitine, L-alanine , sweetener acesulfame K, monopotassium phosphate, sucralose sweetener, preservatives potassium sorbate and sodium benzoate. Flavor green tea + lemon: sugar, acidity regulator citric acid, water, sodium chloride, emulsions lemon (sunflower oil, flavor, color E-161b), magnesium gluconate, taurine, colorant caramel, L-carnitine, L-alanine, sweetener acesulfame K, monopotassium phosphate, sucralose sweetener, preservative potassium sorbate, flavor, preservative sodium benzoate. Flavour Lemon: sugar, emulsions lemon (sunflower oil, flavor, color E-161b), acidity regulator citric acid, water, sodium chloride, magnesium gluconate, taurine, L-carnitine, L-alanine, sweetener acesulfame K, monopotassium phosphate, sweetener sucralose, preservatives potassium sorbate and sodium benzoate. Orange flavor: sugar, acidity regulator citric acid, emulsion orange (sunflower oil, flavor, color E-160a, E 160e, E-161b), water, sodium chloride, magnesium gluconate, taurine, L-carnitine, L-alanine, sweetener acesulfame K, monopotassium phosphate, sucralose sweetener, preservatives potassium sorbate and sodium benzoate. Flavour peach + maracuya: sugar, acidity regulator citric acid, water, sodium chloride, magnesium gluconate, taurine, flavor, L-carnitine, L-alanine, sweetener acesulfame K, monopotassium phosphate, sucralose sweetener, preservatives potassium sorbate and sodium benzoate, colorant E-102 - may adversely affect the activity and attention in children. Flavour white grapefruit: sugar, emulsion grapefruit (sunflower oil, flavor), acidity regulator citric acid, water, sodium chloride, magnesium gluconate, taurine, L-carnitine, L-alanine, sweetener acesulfame K, monopotassium phosphate, sweetener sucralose, aroma naringin , preservatives potassium sorbate and sodium benzoate. Flavour pink grapefruit: sugar, acidity regulator citric acid, emulsion pink grapefruit (flavor, color E-124 and E-110 - can adversely affect the activity and attention in children), water, sodium chloride, magnesium gluconate, taurine, L-carnitine, L alanine, sweetener acesulfame K, monopotassium phosphate, sucralose sweetener, flavor naringin, preservatives potassium sorbate and sodium benzoate. Raspberry flavor + cranberry: sugar, acidity regulator citric acid, water, flavor, sodium chloride, magnesium gluconate, taurine, L-carnitine, L-alanine, sweetener acesulfame K, monopotassium phosphate, sucralose sweetener, preservatives potassium sorbate and sodium benzoate, colorant E-122 - may adversely affect the activity and attention in children. Blackcurrant flavor: sugar, acidity regulator citric acid, emulsion blackcurrants (flavor, color E 122- may adversely affect the activity and attention of children and E 133), water, sodium chloride, magnesium gluconate, taurine, L-carnitine, L-alanine , sweetener acesulfame K, monopotassium phosphate, sucralose sweetener, preservatives potassium sorbate and sodium benzoate. Flavor Cherry: sugar, acidity regulator citric acid, water, flavor, sodium chloride, magnesium gluconate, taurine, L-carnitine, L-alanine, sweetener acesulfame K, monopotassium phosphate, sweetener sucralose, color E-122 - may adversely affect the operation and the children's attention, preservatives potassium sorbate and sodium benzoate. 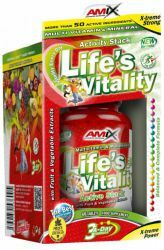 Flavour mixfruit: sugar, acidity regulator citric acid, emulsion Tropik (sunflower oil, flavor, color E-160a, E-160e), water, sodium chloride, magnesium gluconate, taurine, L-carnitine, L-alanine, sweetener acesulfame K, monopotassium phosphate, sucralose sweetener, preservatives potassium sorbate and sodium benzoate. Flavor bitter lemon: sugar, acidity regulator citric acid, emulsion bitter lemon (flavor, color E-102 and E-110 - may have an adverse effect on activity and attention in children), water, sodium chloride, magnesium gluconate, taurine, L-carnitine, L alanine, sweetener acesulfame K, monopotassium phosphate, sucralose sweetener, preservatives potassium sorbate and sodium benzoate, color E-102 - may adversely affect the activity and attention in children. Flavor Mix Berry: sugar, acidity regulator citric acid, water, sodium chloride, magnesium gluconate, taurine, L-carnitine, L-alanine, sweetener acesulfame K, monopotassium phosphate, sucralose sweetener, flavor, color E-122 - may adversely affect the activity and the children's attention, preservatives potassium sorbate and sodium benzoate. Flavour blackberry + lime: sugar, acidity regulator citric acid, water, flavor, sodium chloride, magnesium gluconate, taurine, L-carnitine, L-alanine, sweetener acesulfame K, monopotassium phosphate, sweetener sucralose, color E-122 - may adversely affect activity and attention in children, preservatives potassium sorbate and sodium benzoate. Pomelo Flavour: sugar, acidity regulator citric acid, flavor, water, sodium chloride, magnesium gluconate, taurine, L-carnitine, L-alanine, sweetener acesulfame K, monopotassium phosphate, sucralose sweetener, preservatives potassium sorbate and sodium benzoate, colorant E- 102 - may adversely affect the activity and attention in children. Flavour elderflower: sugar, acidity regulator citric acid, flavor, water, sodium chloride, magnesium gluconate, taurine, L-carnitine, L-alanine, sweetener acesulfame K, monopotassium phosphate, sucralose sweetener, preservatives potassium sorbate and sodium benzoate, color E -102 - can adversely affect the activity and attention in children. Mojito Flavour: sugar, acidity regulator citric acid, water, flavor, sodium chloride, magnesium gluconate, taurine, L-carnitine, L-alanine, sweetener acesulfame K, monopotassium phosphate, sucralose sweetener, preservatives potassium sorbate and sodium benzoate, coloring E- 104 - may adversely affect the activity and attention of children and the E-133 thereof.